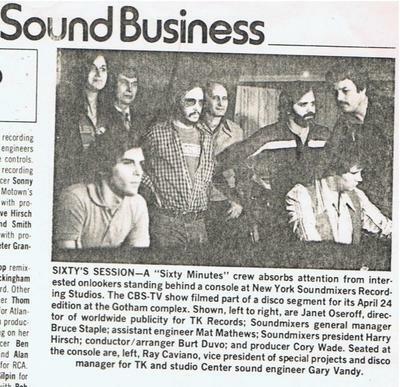 This was the Billboard article about a segment on the show 60 minutes explaining the recording process with Betty Wright and Peter Brown. Filmed at Sound Mixers in NY. Recording done at Studio Center. Comments for Session for 60 minutes.